of shows filmed outside of Southern California. But I do occasionally make an exception. I watched the pilot for Riverdale, which made me curious enough to track down its filming locations. first episode, and identify all of the locations briefly glimpsed in that short video introduction to Riverdale. The challenge was finding each of the show's major locations in the Vancouver region. So I spent days pouring over Google Earth, trying to pinpoint it there. But eventually I recognized that it simply wasn't anywhere near Vancouver. So I switched my search to the U.S., and eventually found it there. small American town of just 1,200, located not by a river, but by a Great Lake. As you might expect, that main street you see is called Main Street. located at 150 W. Main St, in Harbor Springs. but rather Little Traverse Bay, part of upper Lake Michigan. The forested peninsula seen near the sheltered cove is named Harbor Point. 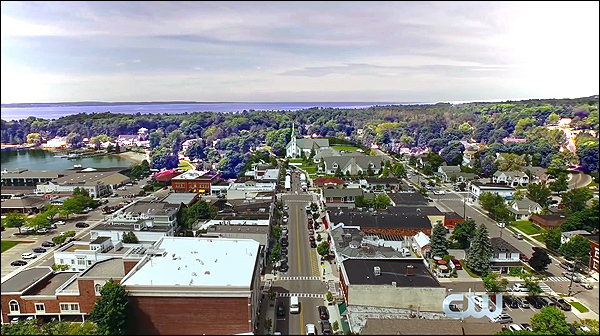 Here is a matching Google StreetView of the town's Main Street and the white church. And here's another aerial video of the town. On the show, this is the home of Archie Andrews and his father. in the Grandview-Woodland neighborhood of British Columbia. 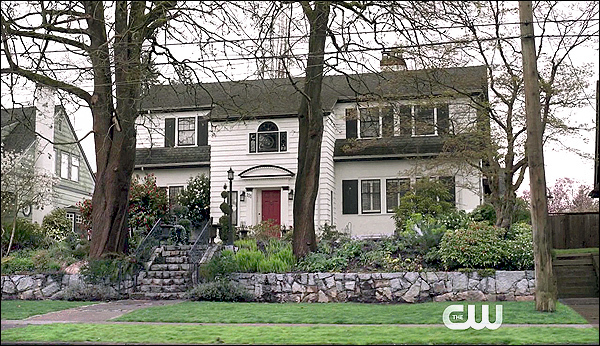 On the show, this is the home of Betty Cooper and her parents. This was another challenge to find. houses with the number 111,in the central Vancouver area near Archie's house. Betty's house was still nowhere to be found. a surprisingly long way from Archie's house. the house number should have been in the 9000 range. miles away from Archie's house, the numbers suddenly revert to the 100s. Once I realized that, finding Betty's house was relatively easy. It was on one of the first streets that I looked at in New Westminster. 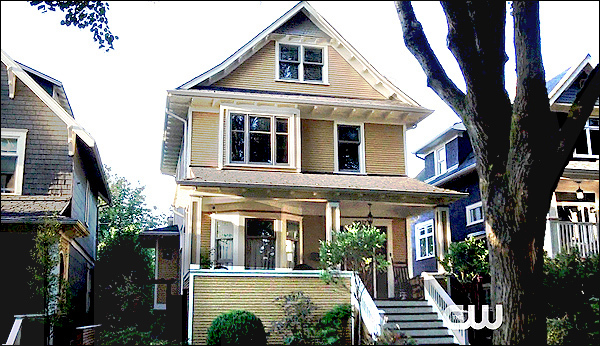 Betty's house is at 111 Queens Avenue, in New Westminster, B.C. The Pembrooke, a posh apartment building in Riverdale. in my name, and not your father's." first known as the B.C. Permanent & Loan Company, and later as the Bank of Canada. Which explains why, today, it's now known as "The Permanent". It is now a restored event venue, popular for weddings, corporate galas, etc. Riverdale will avoid showing it, since the building is supposed to be apartments on the show. You'll find it at 330 West Pender Street, in downtown Vancouver, B.C. Here is a matching Google StreetView of the building. 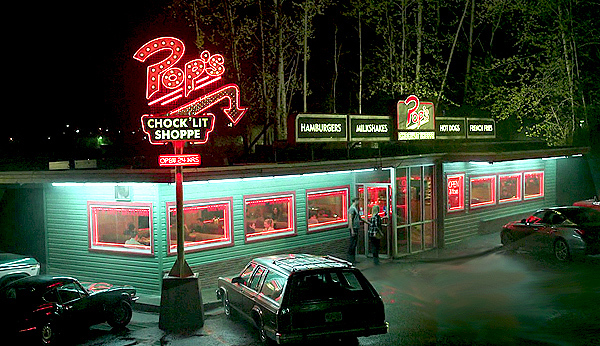 On the show (as in the comics) this restaurant is the local hangout for Riverdale's teens. of place you might find on Disneyland's Main Street USA, or on TV's Happy Days. On the show, it's more of a down-to-earth diner. In real life, this is an actual restaurant, known as Rocko's Family Diner. You'll find it at 32786 Lougheed Highway, in Mission, British Columbia. It opened back in 1956 as the "Hi-Lite Burger Bar", and became "Rocko's" in the '80s. in "Percy Jackson the Lightning Thief", "The Tortured" and "Killer Amongst Us". since it's actually about 35 miles southeast of Archie's house. Here is a matching Google StreetView of the diner. 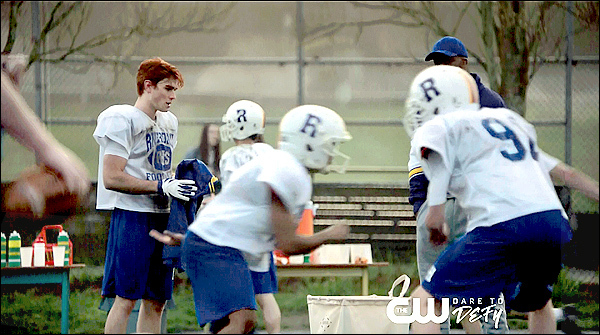 On the show, this is the high school attended by Archie and his friends. In real life, the actual school you see above is about six miles east of Archie's house. 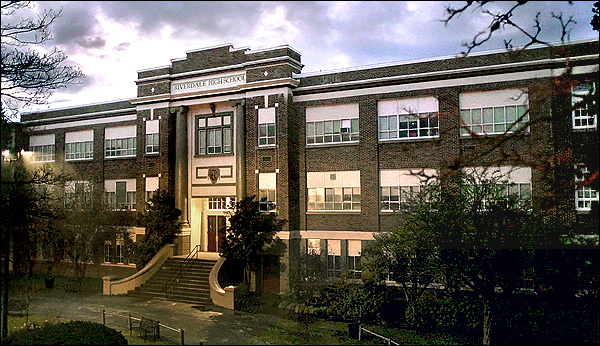 It's Lord Byng Secondary School at 3939 W. 16th Ave, in Vancouver, B.C. 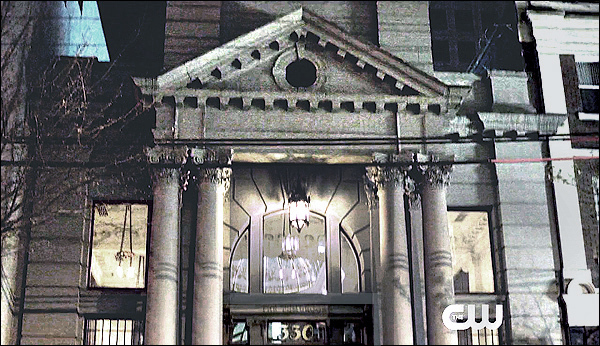 The "Back to School Dance" scenes, in the pilot, were also shot here at Lord Byng. Burnaby Mountain Secondary School, in Burnaby. So "Riverdale High" is actually a synthesis of all four of those Vancouver schools. football team, when the coach attempts to recruit him to play varsity football. It's also where Betty & Veronica ask him to the dance. at 5350 East Blvd, Vancouver, B.C. but rather is part of the next-door Kerrisdale Park, at 5670 East Blvd, Vancouver, B.C. Here is a matching Google StreetView of the football field. of locations right out of the show.